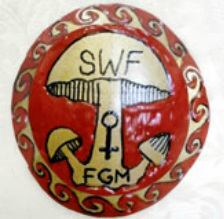 Consulting services for FGM related projects are provided by Dr. Nina Smart, who holds a Ph. D. in Sociology and studied the complexities of this harmful traditional practice in Sierra Leone. Dr. Smart works closely with nationals in Sierra Leone to create and develop culturally sensitive approaches which are critical to the process of change in practicing communities. In Los Angeles, she educates and collaborates with other organizations that assist immigrant communities where FGM continue to hold a central role in daily life. Dr. Smart's work received US Congretional recognition when she was chosen as 2016 Woman of the Year for Nonprofit by Senator Mendoza _ in California. Fees for consulting services are determined after initial meeting where the expectations of each project are established.